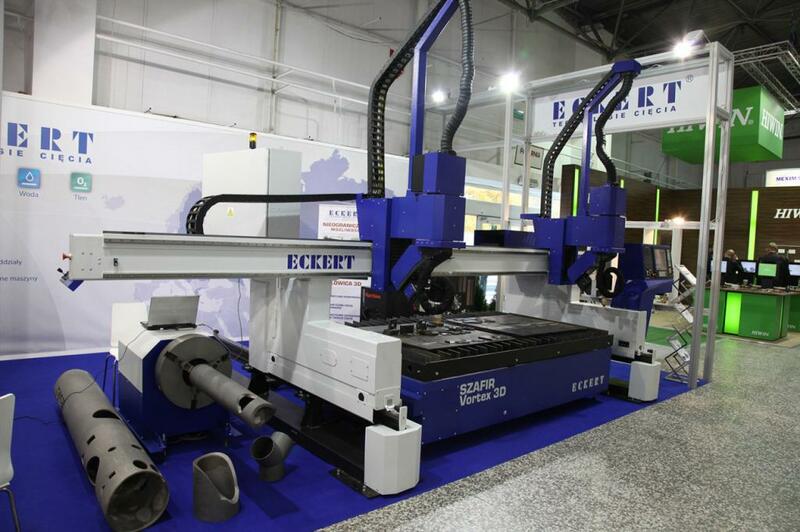 Sapphire cutting machine is dedicated to work in the most severe production conditions. 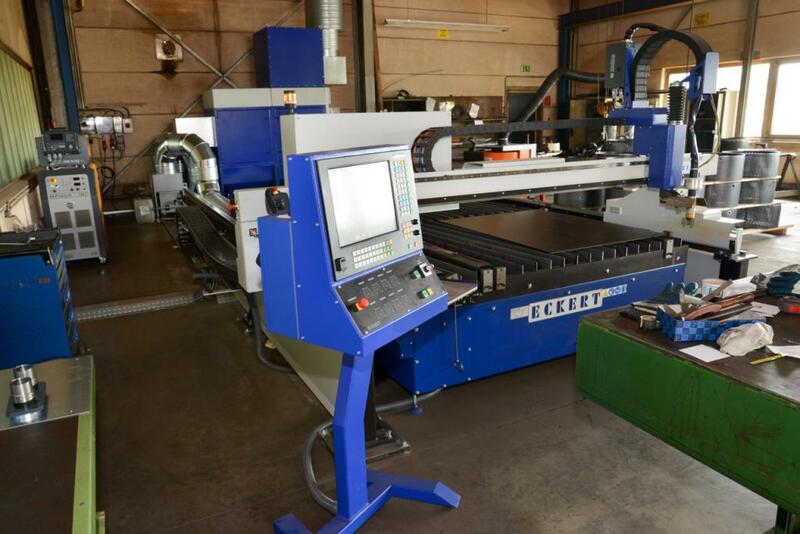 It is suitable for three shift work system and guarantees high quality processing to met your needs while keeping efficiency at a substantial level. 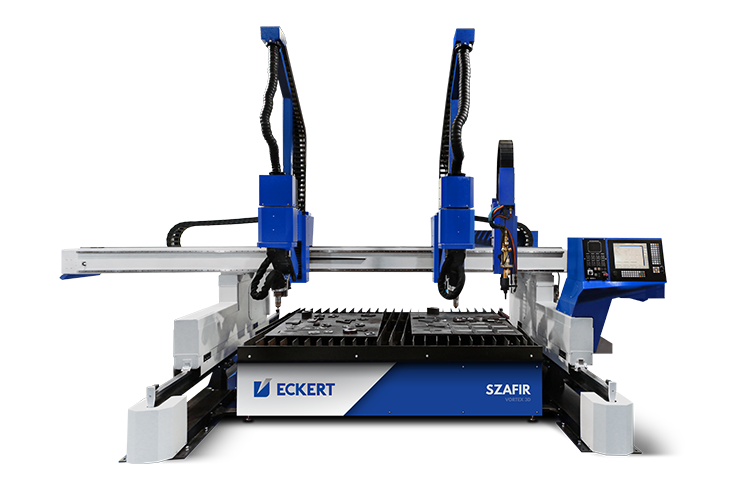 Sapphire is defined by a stable construction and numerous outstanding technological solutions, which guarantee failure-free use. 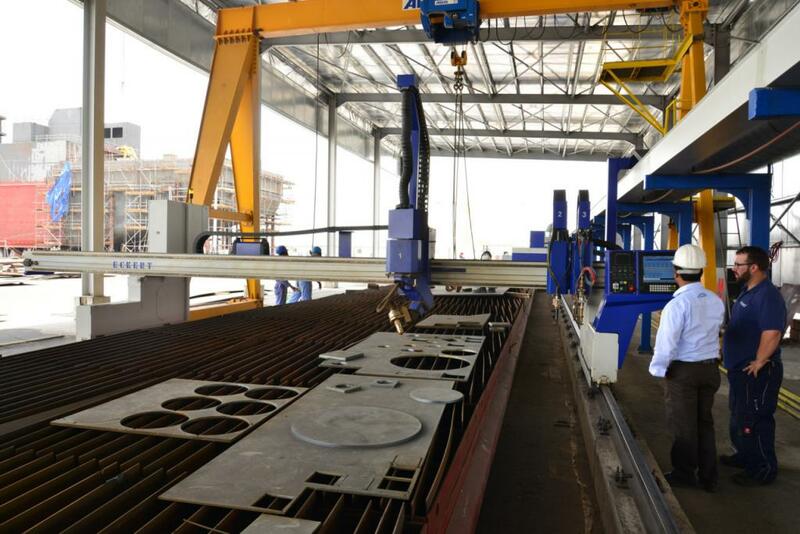 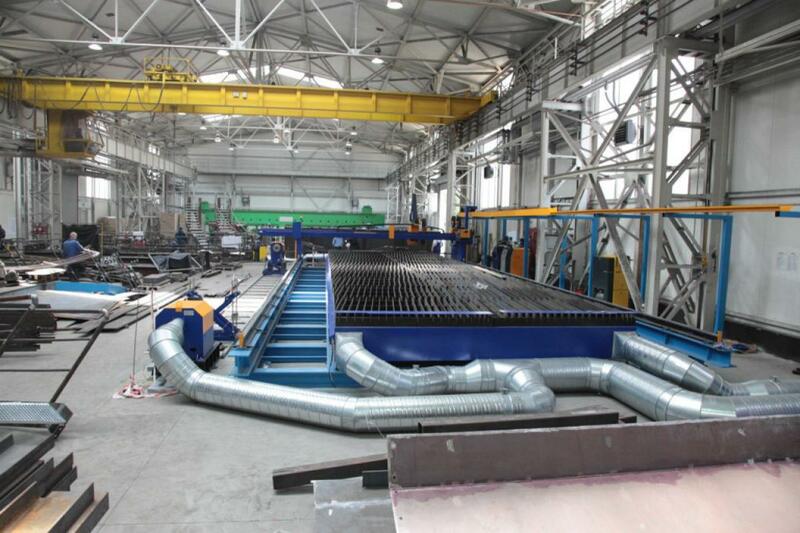 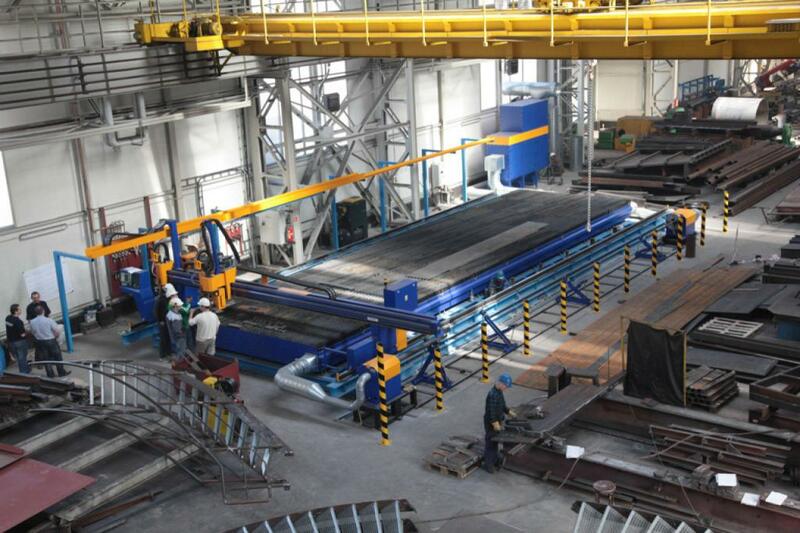 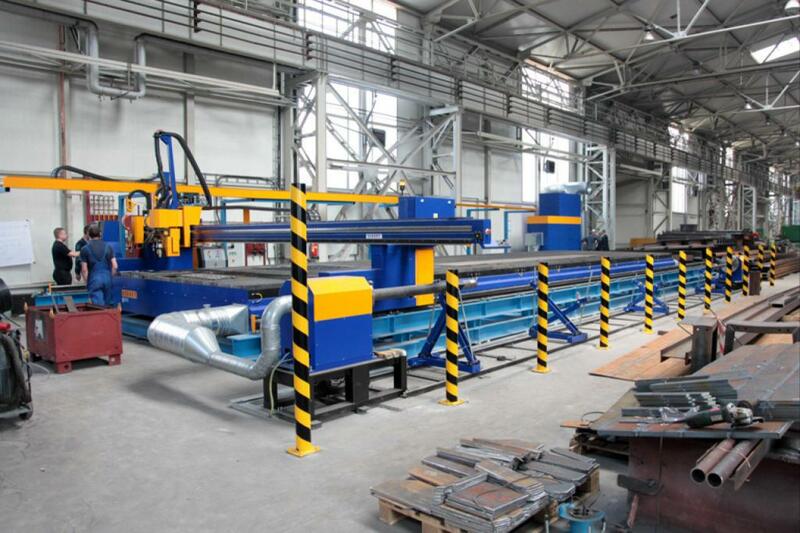 Sapphire, as optimal solution for the heavy industry, is popular among the machine production plants, shipyard, and among those who value efficiency and reliability. 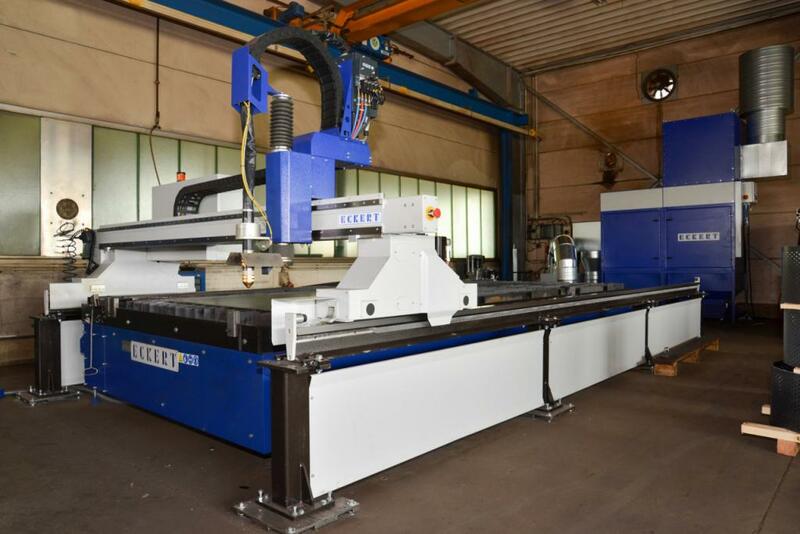 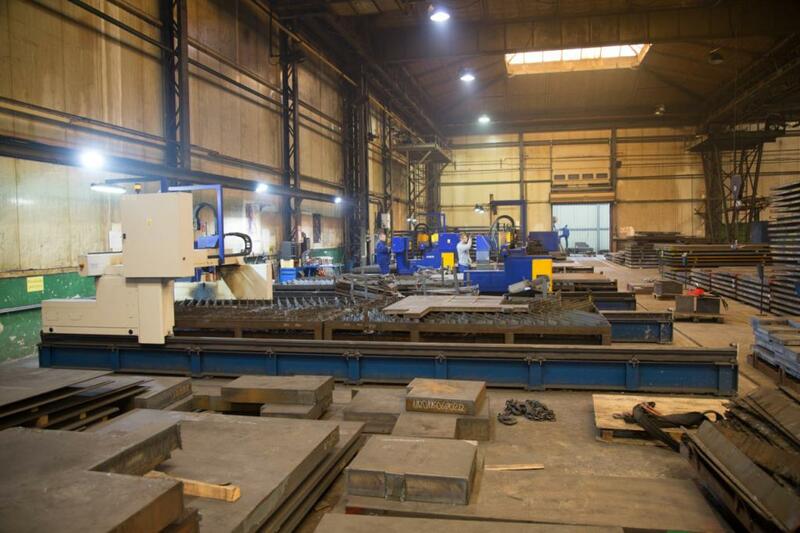 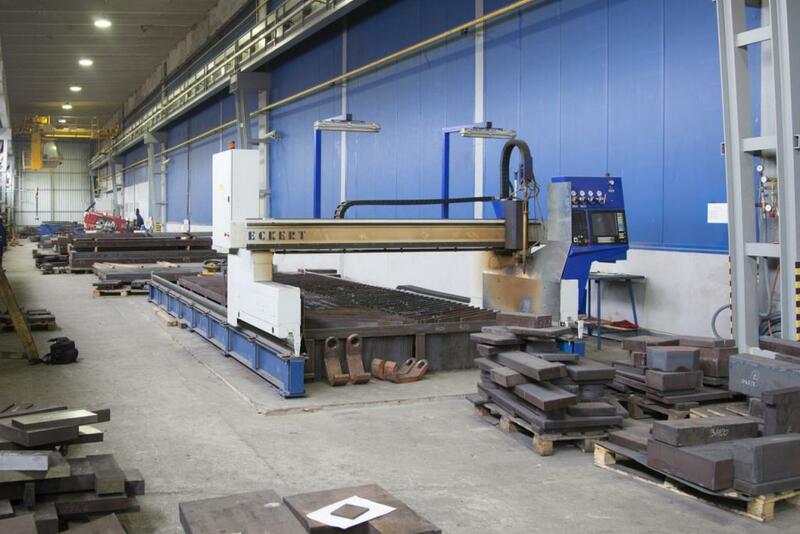 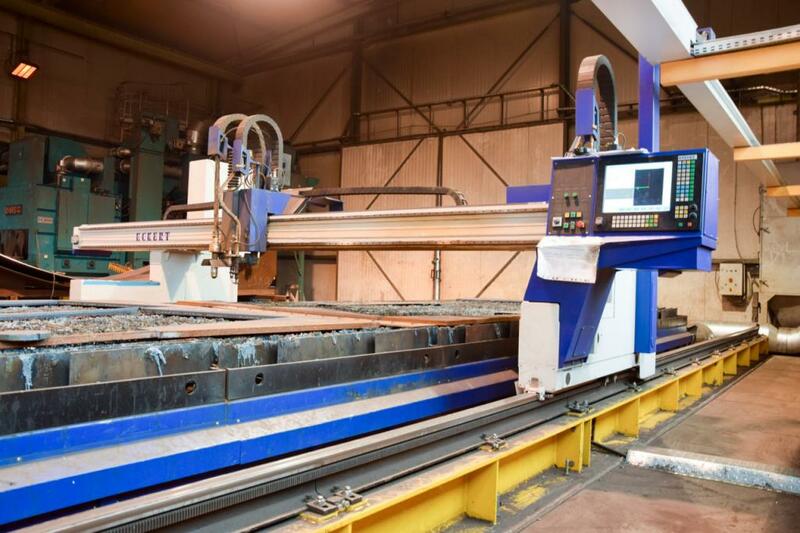 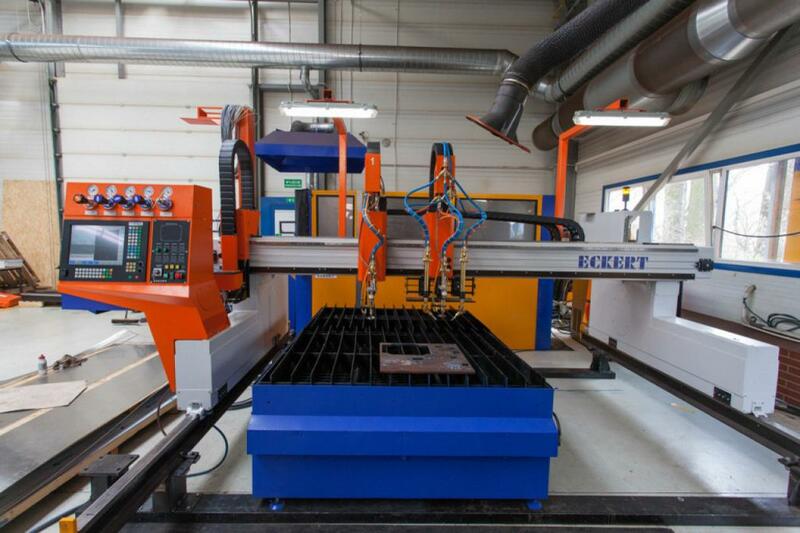 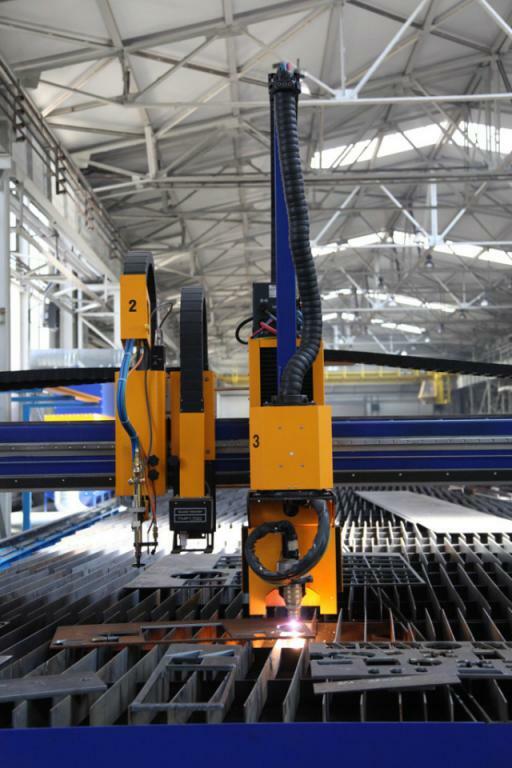 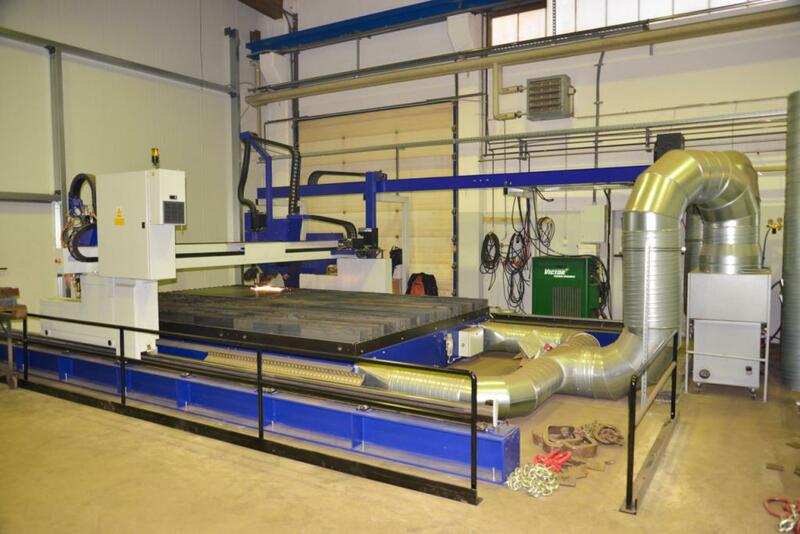 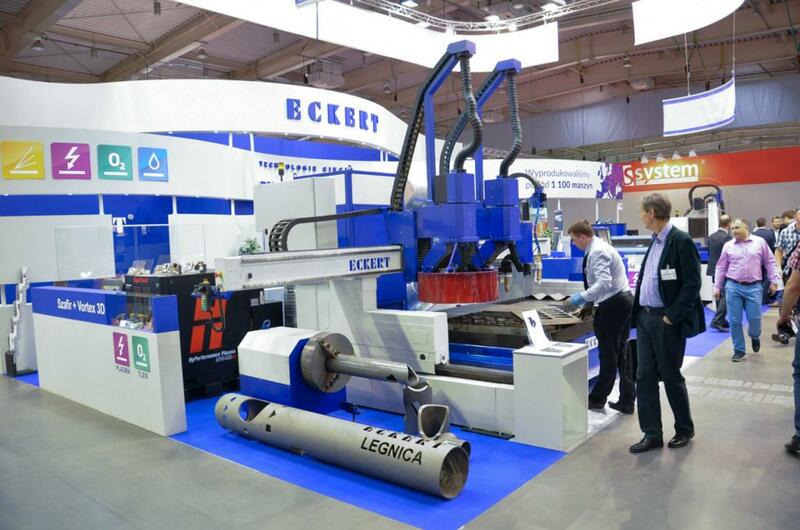 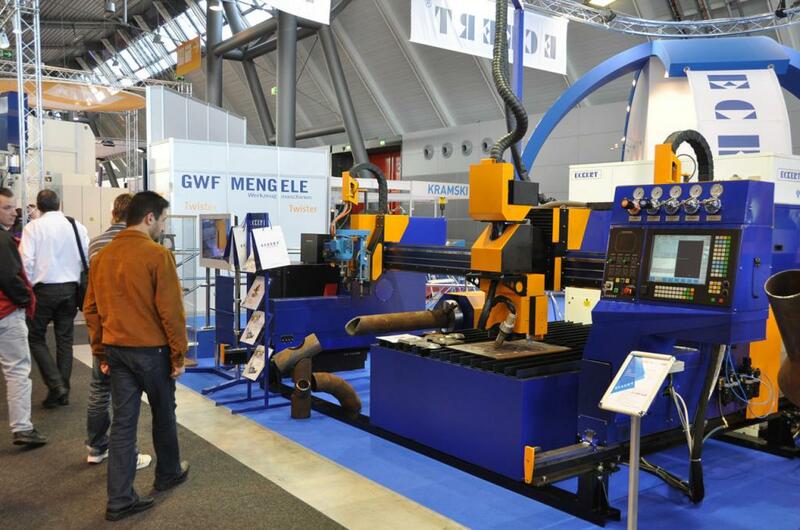 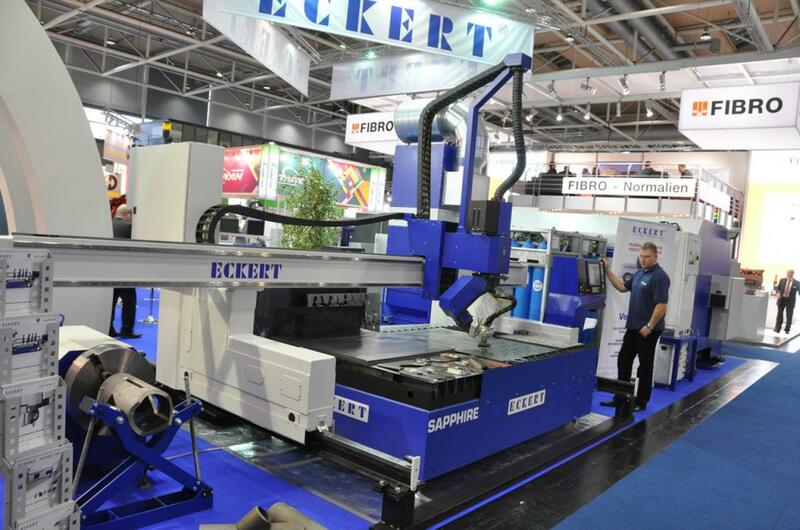 Considering a broad scope of applications (plasma and oxygen cutting, plasma marking, punch marking, drilling) the machine is a versatile tool created to meet even the most demanding customers’ expectations. 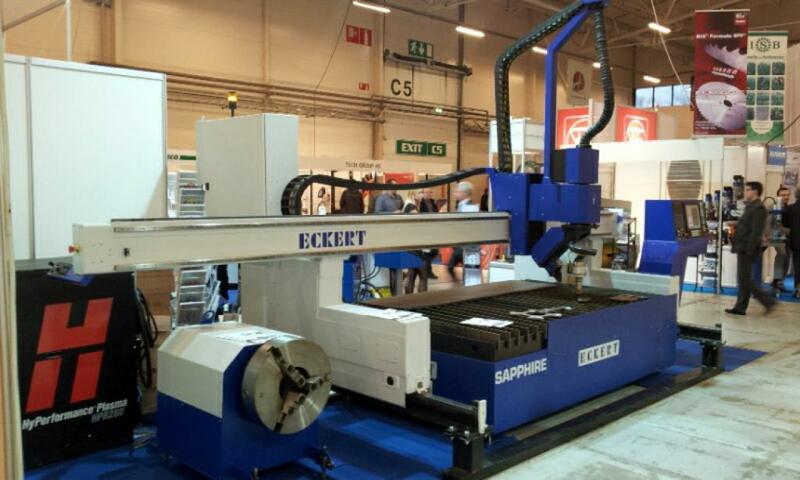 Sapphire cutting machine has been utilized more than 400 industrial plants where it is proving its excellence. 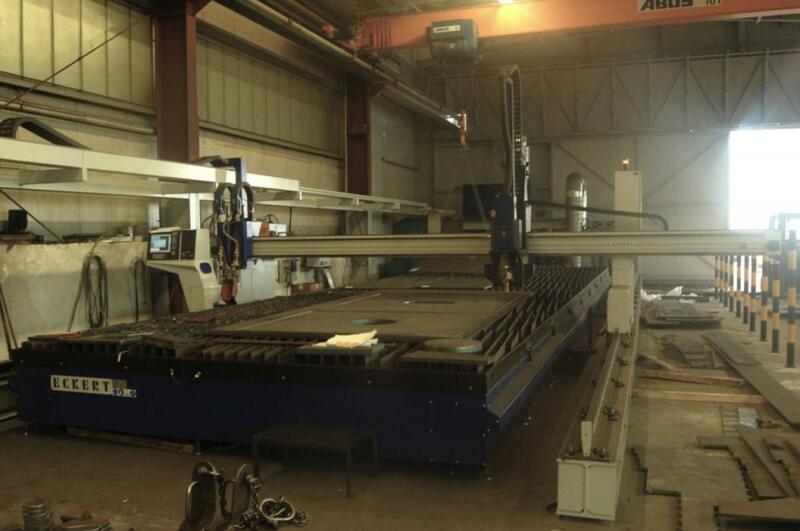 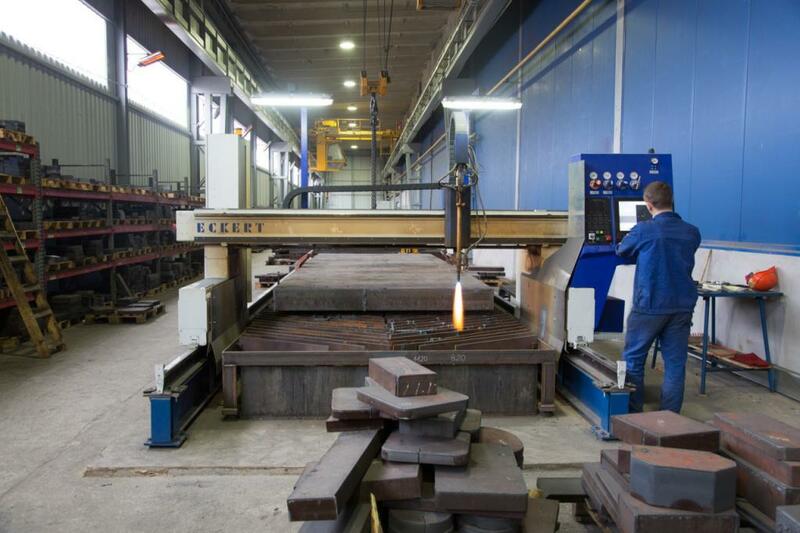 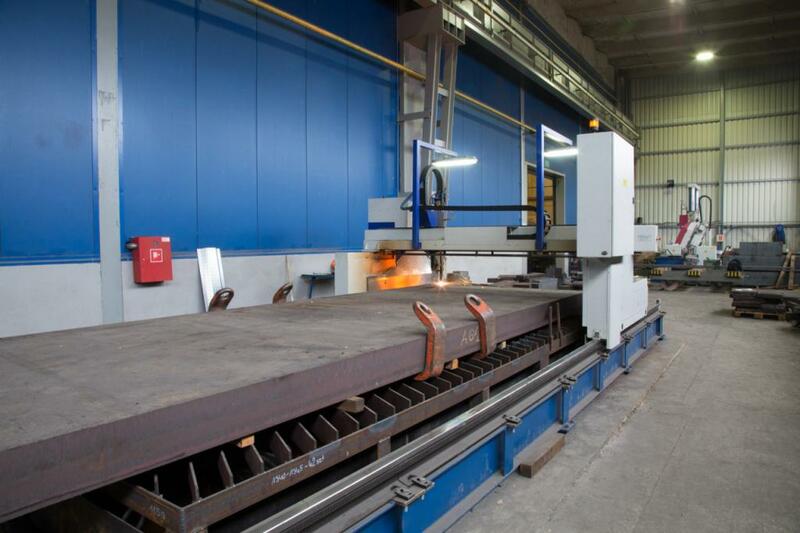 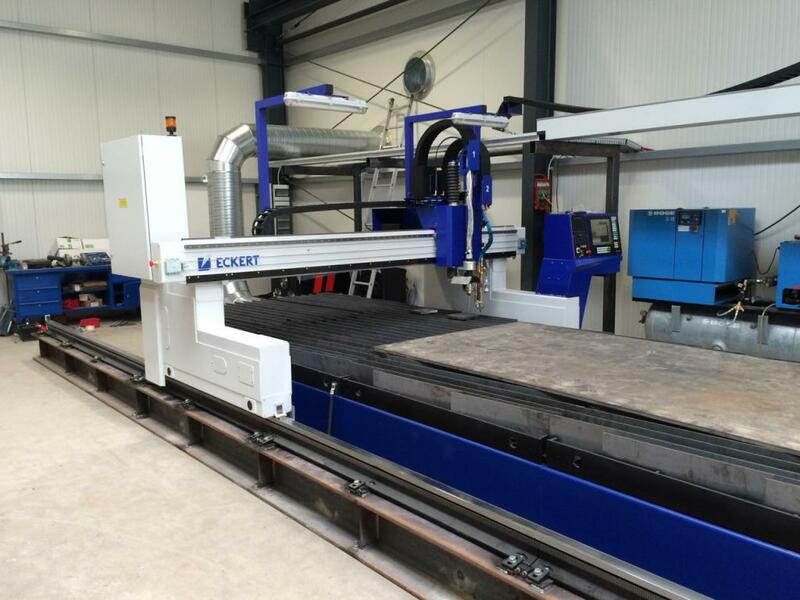 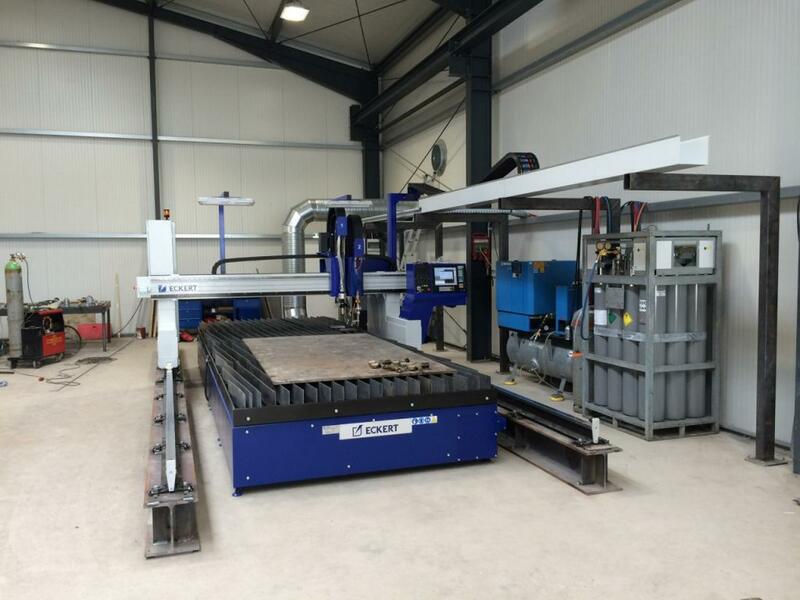 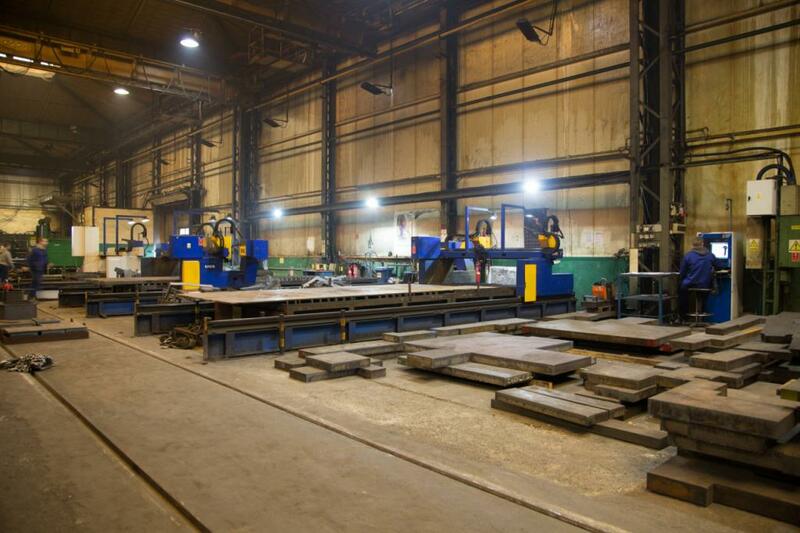 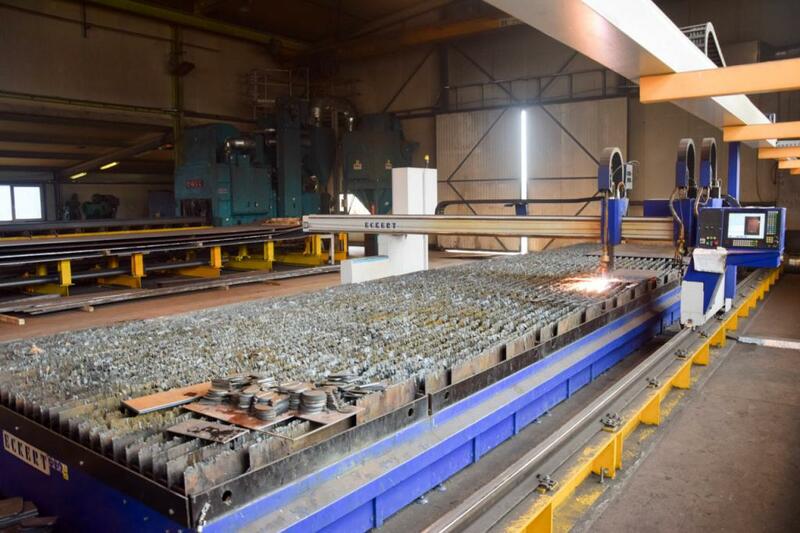 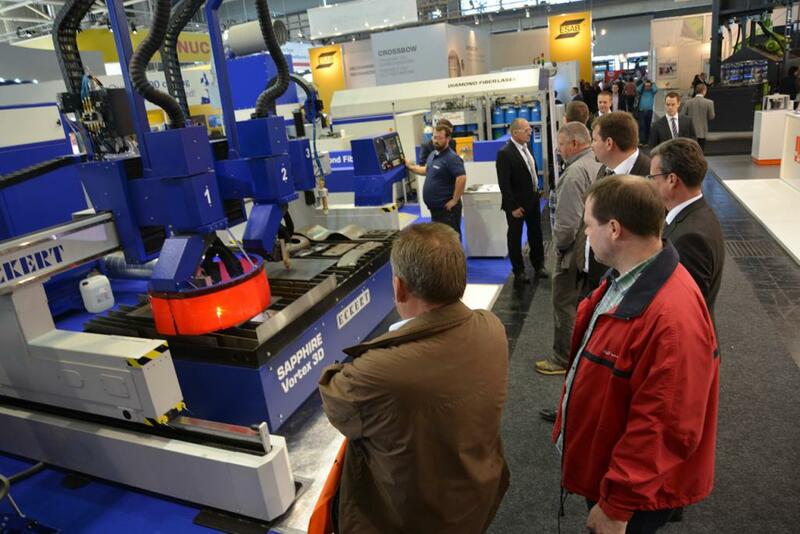 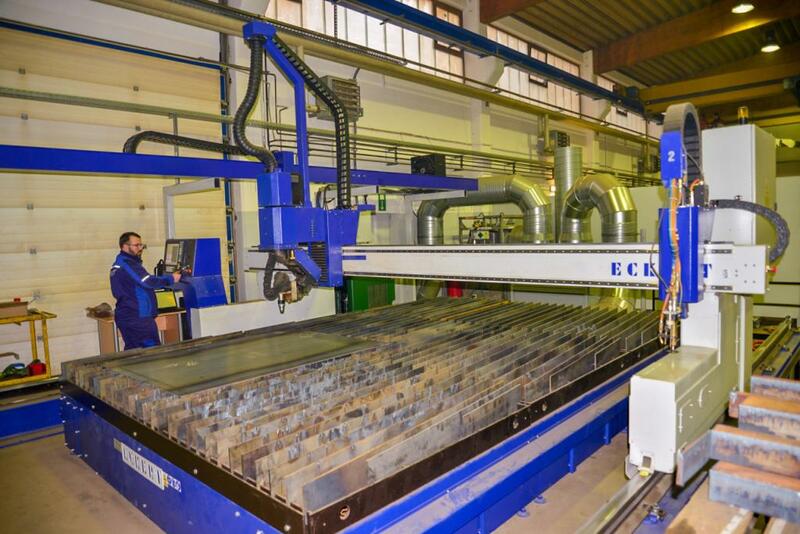 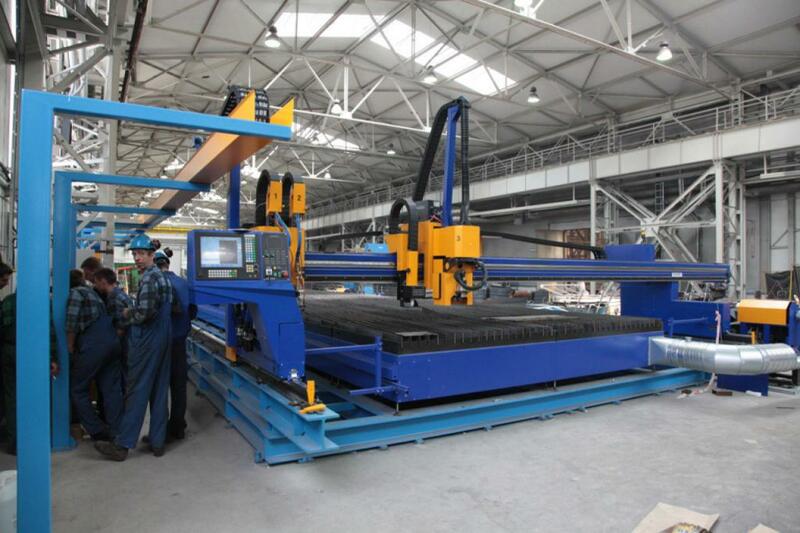 The fully automated plasma cutting head enables very precise bevelling and chamfering in a single sheet cutting process. 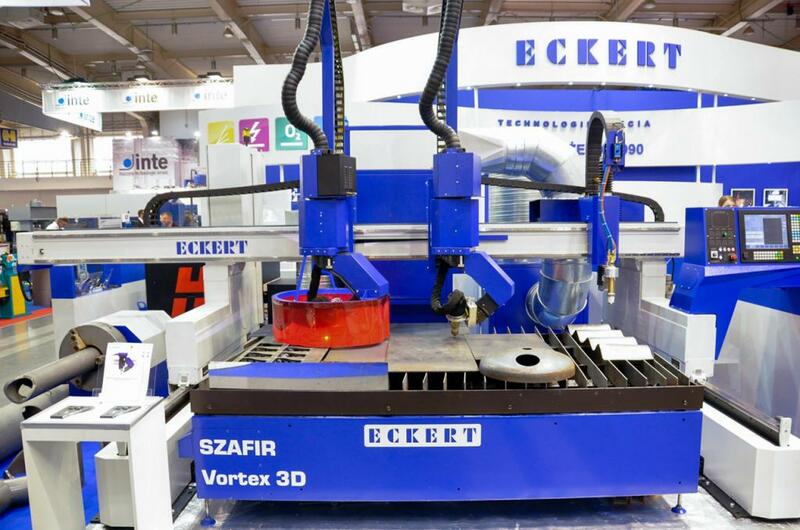 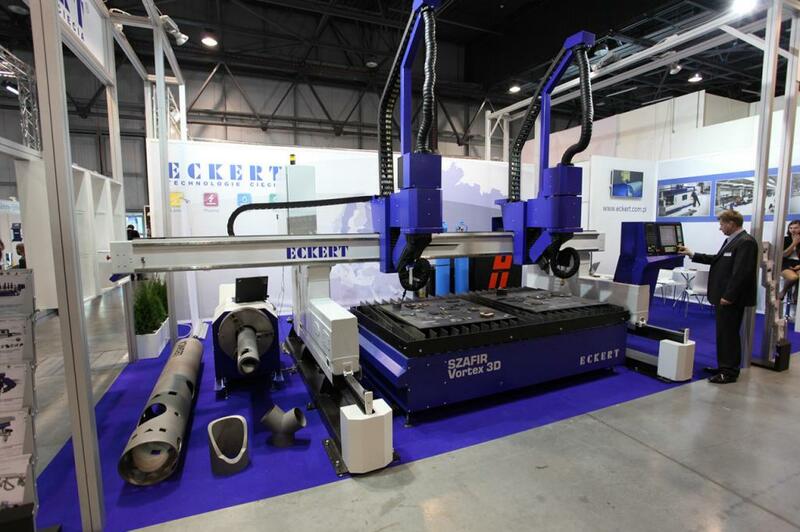 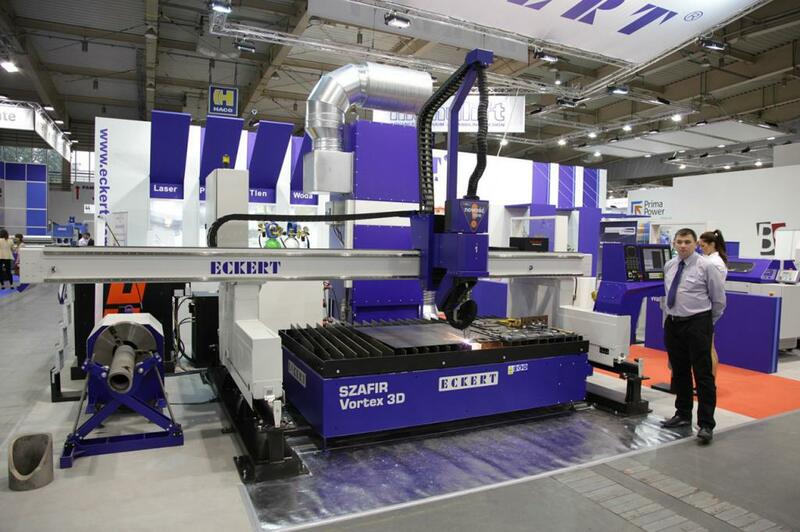 Angle of rotation +/- 540° and head angle deflection +/- 47°, makes our cutting machine a universal tool able to work in three dimensions together with preparing welding phases on Y, V and K. Vortex 3D cutting head is equipped with sensors: anti-collision, electrical/mechanical touch and height sensor. 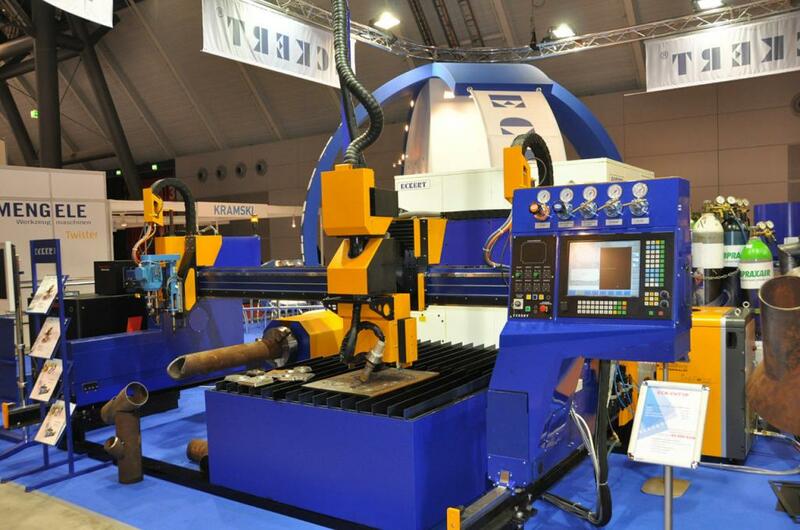 This allows using technologies such as: Contour Cut®, Contour Cut Speed®, Diameter Pro® and True Hole®. 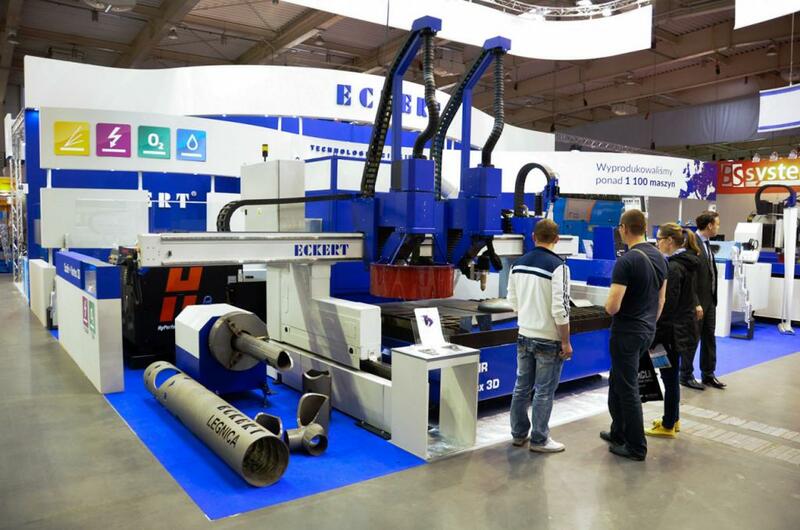 Oxygen torch is the cutting solution destined to cut structural low-carbon and low-alloy steel. 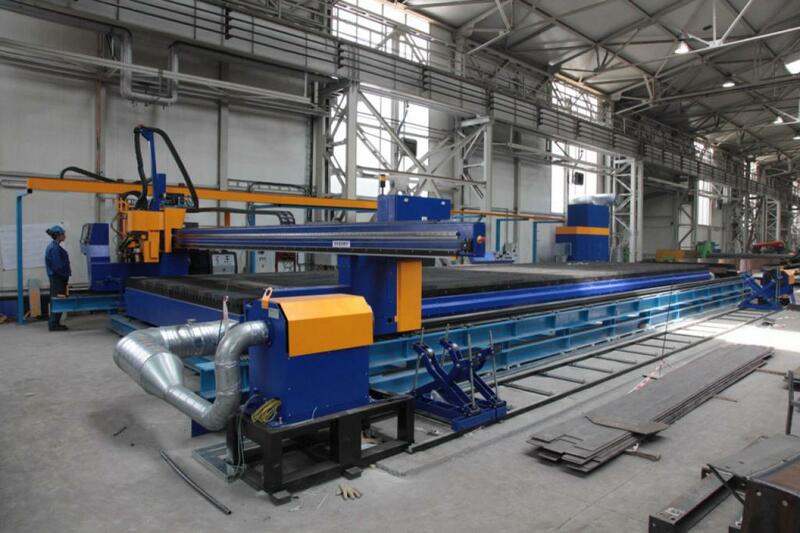 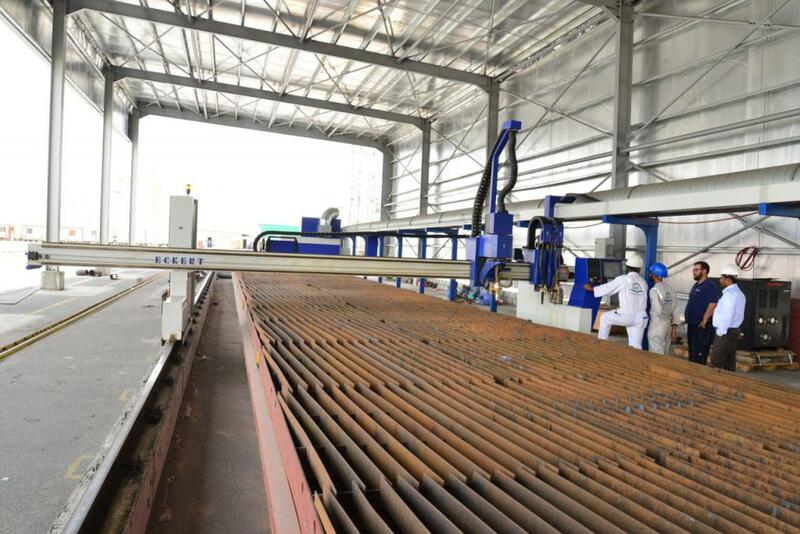 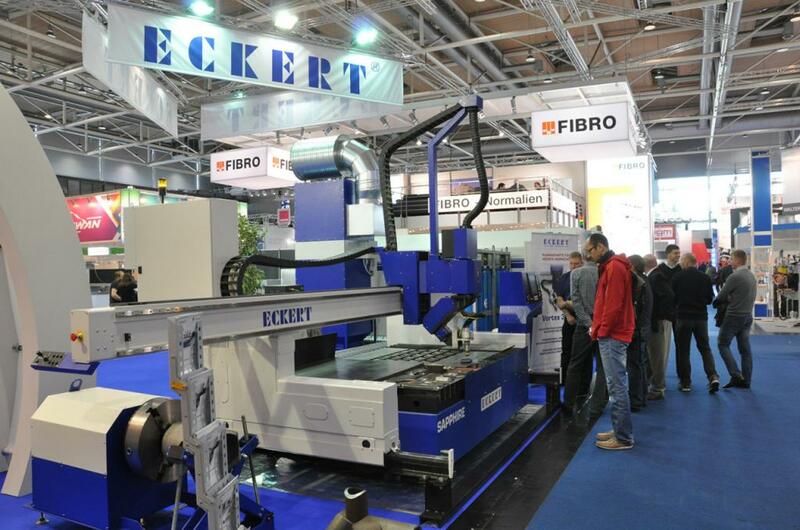 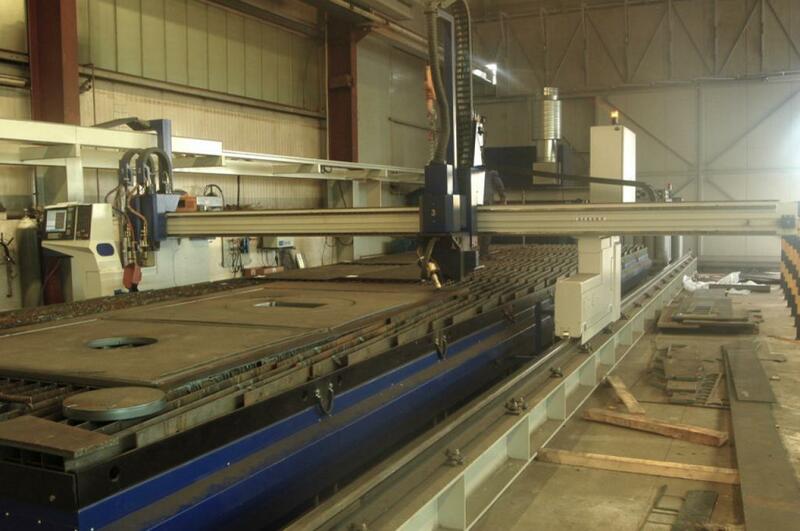 It is capable of processing wide range of material thickness. 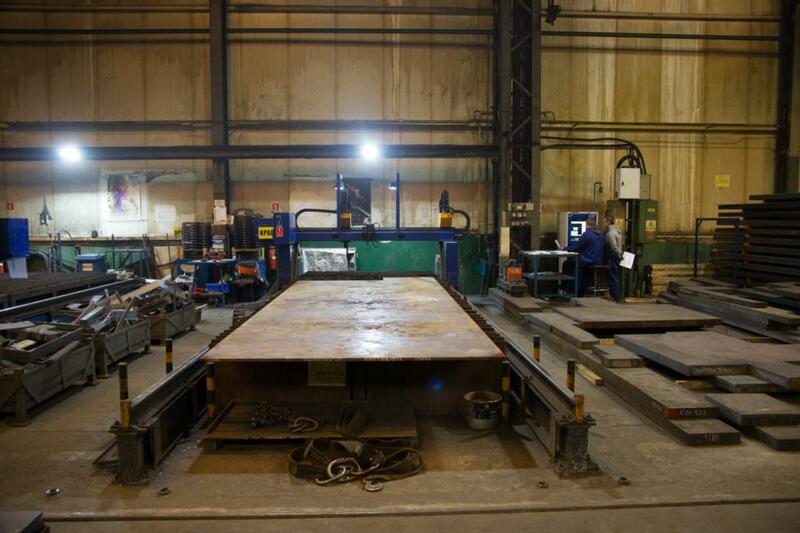 The torch was fitted out the height sensor, automatic ignition and possibility of manual angle setting. 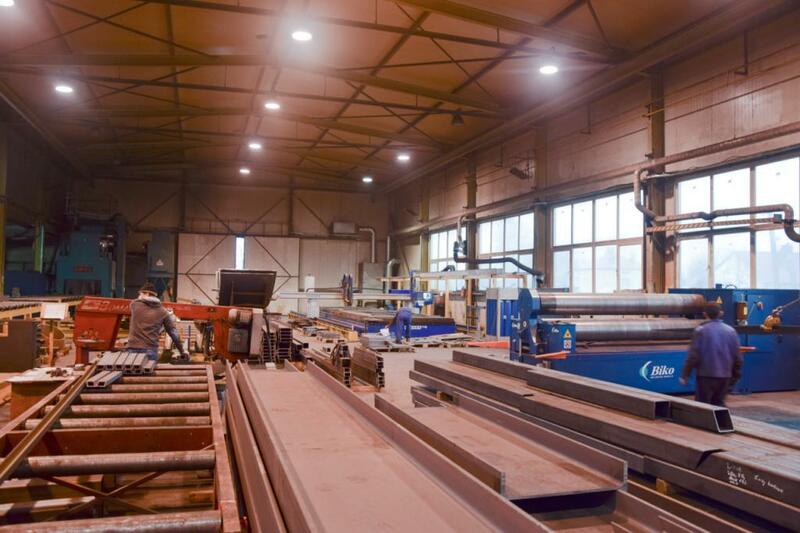 Gantry construction is based on welded steel beams which thanks to stress relief is characterised by high rigidity while maintaining relatively small mass. 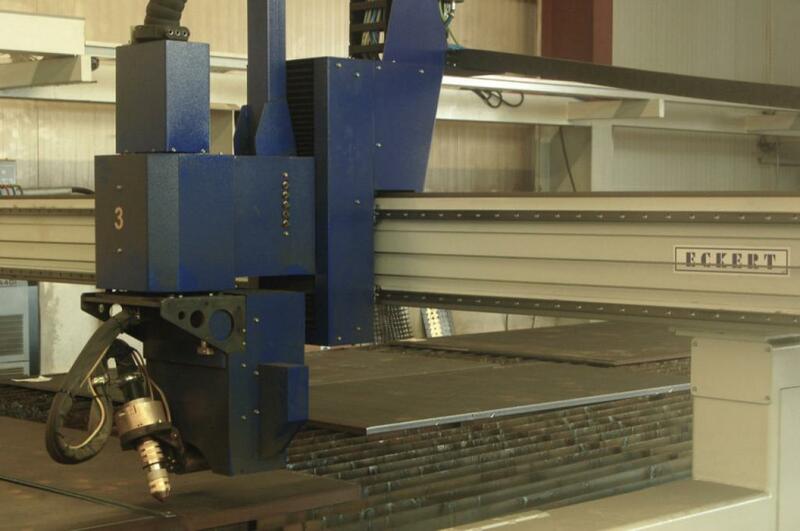 Applied construction solutions assure stability of the machine geometry which is not prone to maladjustment during large mass or thermal loads. 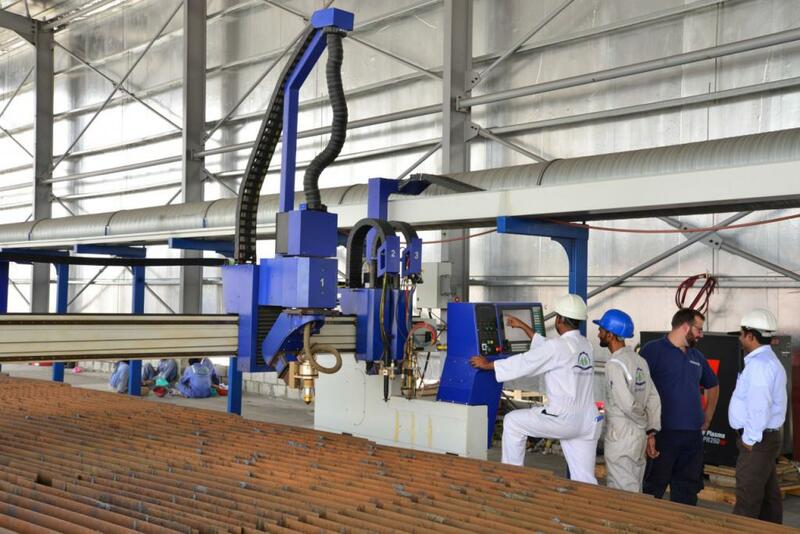 This ensures high process safety also for three shift working companies.